​James M. Sammons is a native of Colquitt, Georgia and graduated from Miller County High School in 1972. He received his Bachelor of Music Education from Troy University in 1976 and was a member of the famed “Sound of the South” Band under the direction of Dr. John M. Long. Mr. Sammons is a life member of the Florida Bandmasters Association, serving the FBA for eighteen years in a variety of positions at the district and state level including District Secretary, District Chairperson, Solo and Ensemble Chairperson. He served as President of the Florida Bandmasters Association from 1996-1998. Mr. Sammons is an elected member of the Florida Bandmasters Association Hall of Fame. He is also a member of the Florida Music Educators Association, the National Association for Music Education and the National Band Association. 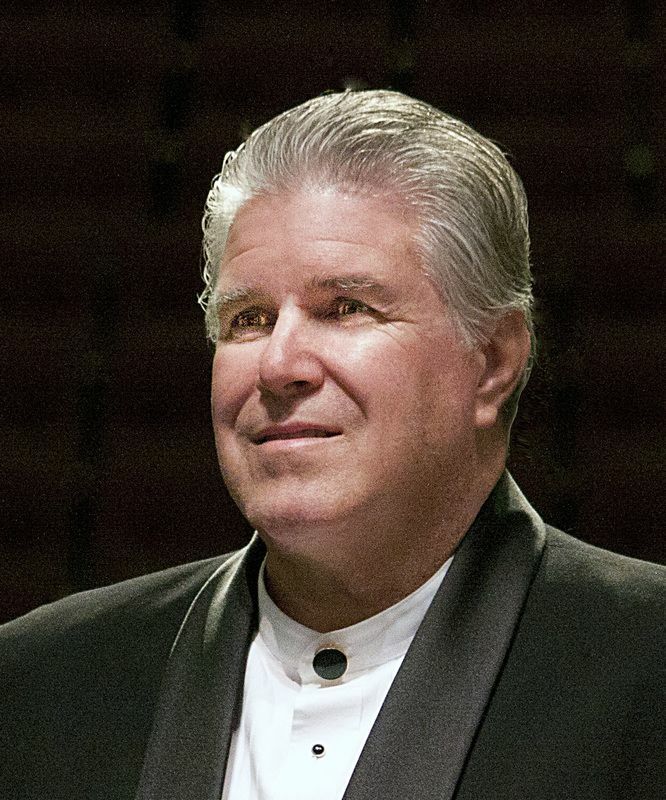 In March of 2016 Mr. Sammons was elected to the prestigious American Bandmasters Association, an organization of select professional conductors, composers, and music industry leaders. The ABA membership roster includes the leading military, collegiate, and high school band conductors in the nation. Currently Mr. Sammons is on the staff of Indian River State College in Ft. Pierce, Florida as a Music Clinician in the Performing Arts Department, Artist in Residence for St. Lucie Co. Schools in Ft. Pierce, Florida, an adjudicator for Heritage-World Strides Festivals, and is an adjunct clinician-representative of Music Man Inc. of West Palm Beach, Florida. Mr. Sammons is an active clinician for honor bands and numerous high school and middle school bands in East Central and South Florida. He also is a frequent adjudicator for the Florida Bandmasters Association throughout Florida. Mr. Sammons began his career at Goshen High School in Goshen, Alabama (1974-1976) as Director of Bands (including all instrumental activities, grades 4 through 12) while completing his undergraduate studies at Troy University. During his tenure with the Goshen High School Band, the band appeared at the Alabama Bandmasters Association State Concert Festival for the first time in school history. From 1976-1980, Sammons served as Director of Bands at Walton High School in DeFuniak Springs, Florida. The Walton High School Band consistently received superior ratings at both marching and concert band festivals and appeared at the Florida Bandmasters Association State Concert Festival on three occasions, the first such appearances by the band in over 25 years. In 1980, Mr. Sammons moved to Vero Beach, Florida where he would serve as Director of Bands at Vero Beach High School until his retirement July 1, 2016. He has been honored with the title of "Director of Bands - Emeritus". He has been recognized as the Indian River County Teacher of the Year and has received Official Proclamations and Citations from the City Council of Vero Beach, the Indian River County Board of Commissioners, the Veterans Council of Indian River County, the Legislature of the State of Florida, the Office of the Governor of the State of Florida, and by President of the United States, George W. Bush. He has been awarded the Citation of Excellence (4) from the National Band Association and the Southeastern United States Concert Band Clinic. Mr. Sammons has also been honored by the Indian River County Association of School Administrators’ with the Best of the Best Award and has received the Principal’s Award for Excellence from Vero Beach High School. During his tenure as Director of Bands at Vero Beach High School Band all bands including concert, marching, jazz, auxiliary, and percussion have received consistent "Superior" ratings at the Florida Bandmasters District and State Music Performance Assessments. The program has earned "Superior" ratings at the FBA State Music Performance Assessment consecutively since 1988. Additionally, the band has made appearances at the National Band and Orchestra Festival in Carnegie Hall, the Southeastern U.S. Concert Band Clinic, the College Band Directors National Association, the Southern Music Conference, NAfME Southern Division Conference, Florida Music Educators Conference, University of Florida Invitational Band Clinic, University of South Florida Festival of Winds, University of Georgia Honors Band Festival, and the Stetson University Honors Festival. In 2013, multiple concert and percussion ensembles performed at the Music for All National Concert Festival in Indianapolis, Indiana. In 2015 the band performed at the University of South Carolina Band Clinic. ​Overall his bands have appeared at the State MPA in Alabama and Florida a total of 39 times with 32 years of Superior Ratings at State, at district concert MPA events in Alabama and Florida 39 times with Superior Ratings and at district marching MPA events in both states 40 times with Superior Ratings. Additionally, bands under Mr. Sammons have earned numerous Superior Ratings and Championships at both marching, concert, and jazz band festivals and competitions at a variety of independent and commercial venues. The VBHS Band has also made appearances at the Tournament of Roses Parade, Macy’s Thanksgiving Parade, Cherry Blossom Parade, Cotton Bowl, Orange Bowl, Fiesta Bowl, the 1982 World’s Fair and in Hawaii aboard the USS Missouri at Pearl Harbor. In 2016 the band performed in the Atlanta Georgia Peach Bowl Parade and in the Georgia Dome at the Peach Bowl Pre-Game show. The Band and Color Guard won First Place in the Parade competition and Concert Band Competition and 2nd place in the Field Show and Jazz Band competition bringing home a total of 10 trophies and awards from the Peach Bowl events. In addition to his duties as Director of Bands at Vero Beach High School, served as Chairman of the VBHS Performing Arts Department and Coordinator of Instrumental Music for the Indian River County Schools. In recognition of his contributions to Vero Beach High School and to the community of Vero Beach and Indian River County the school district designated the auditorium at the VBHS Performing Arts Center, the James M. Sammons Auditorium in December 2015. Of his many accomplishments, perhaps the most rewarding are the former students who serve their communities and country in a diverse array of service professions, especially those serving in the military or serving as music directors, professional performers and conductors at the national and international level.